How do you build a monument? Or a temporary work of art in the Hof? Monumentalise shows you and lets you try yourself. 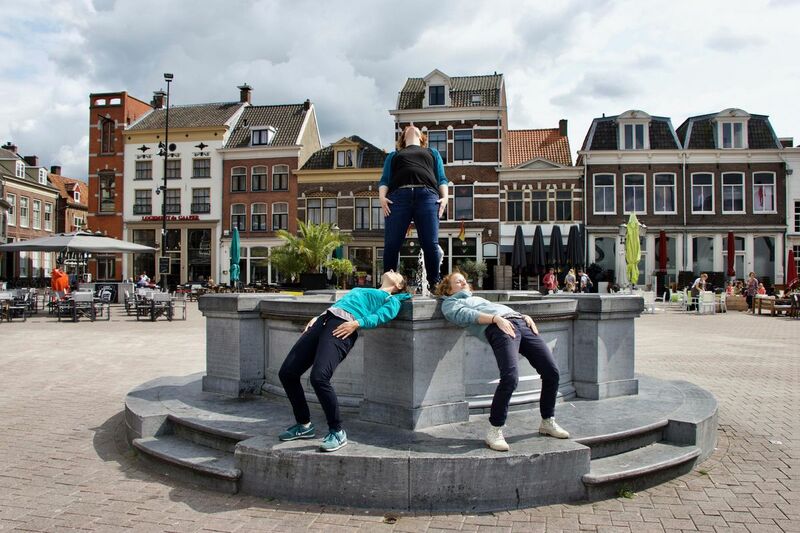 Tal Alperstein and Julia Turbahn looked at monuments in Amersfoort during Spoffin LAB, the residency held in the run-up to Spoffin. With their project monumentalise, the two rebuild monuments with human bodies all over the world. Alperstein and Turbahn are provided with polaroid cameras to instantly capture all the buildings created for their monumentalise website, where they collect photos of all the projects and spontaneous builds. Verbeek: "It's all about remembering and commemorating and how to do that." Monuments were erected to be seen and often become completely invisible, blending into the everyday street scene. Monumentalise brings change.